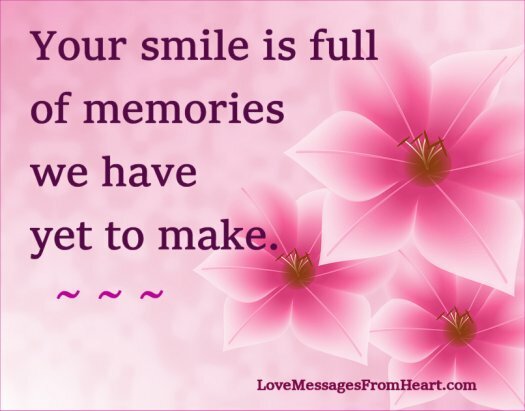 Your smile is full of beautiful memories we have yet to make. When you smile, your face lights up like a Christmas tree and you radiate beauty and joy. One smile from you is enough to lift my mood instantly. You smile is like a beautiful butterfly flying from flower to flower. Your smile is irresistible to me … when you smile, you melt away all my worries. Your smile is like a glow-in-the-dark diamond. It mesmerizes and soothes me like nothing else could. This Author is good. I enjoyed all his messages.